Etisalat dropped their data Bis plan that works on BlackBerry devices alone, although as it was promised when I wrote about the bis plan, that am gonna come up with a way of using the bis on your Android and PC devices, so if you were among those that read the update concerning the trending etisalat bis, then, here comes the fulfilment of the promise made by Techbmc. Etisalat Bis is such that gives you unlimited surfing, many said the daily etisalat bis was capped to be 6GB, but I was able to checkmate on that and I found out that the cap for the daily bis was 13GB, so take note. Are you using Android or want to use this etisalat bis on your PC for its flawless surfling, then follow the steps provided below accurately. First thing you ought to do, is to subscribe for the Etisalat bis plan right from Here. Then follow below for the set up. ◾ You need to ownload FoxFi Key on Android by clicking HERE. ◾ It is assumed that you must have downloaded PdaNet on your phone and PC, now open it on your PC, and then run it on your Android. ◾ With the Android, open the app and then tick on the very connection method you wish to use. There are upto three methods... which include USB, Bluetooth and WiFi connection methods. ◾ From your PC, open the PdaNet application and choose the method of connection you selected on your phone PdaNet above. ◾ Next, click on connect button showing on your pc. You are good to go. 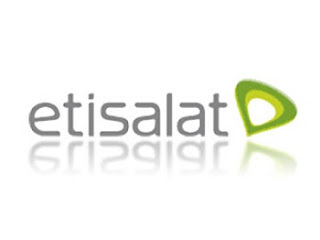 with this method given above you can as well share etisalat chat pack, even mtn bis, bblited, mtn music plus and many other latest and old cheats on your pc either via wifi hotspot tethering, usb tethering or even bluethoot tethering with Pdanet app. Already as you all now know, the first thing to do, is to subscribe for the very cheap Etisalat bis right from HERE. => You need a strong network for this, so switch on your 3g if it is off on android phone, just enable it. That's all, just wait for few seconds and it will Connect. on CONNECT for it to browse. it connects within few seconds and nothing like off and on once it connect. But if it should waste time then switch off and switch on your data and try connecting again.